RTLS Tags | Location Running. 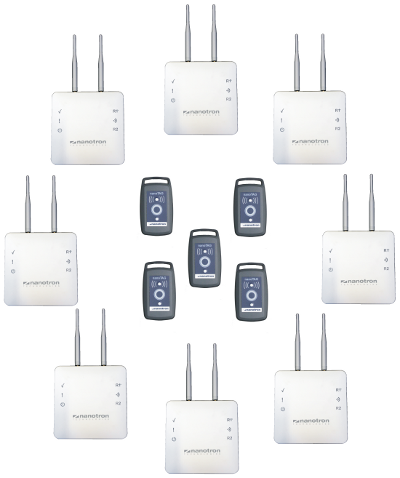 In a real time location system, tags are wireless devices which send out blinks. These blinks are received by anchors and forwarded to the location server for calculating tag positions. Together with anchors and the location server, tags form the basis for monitoring presence and movements of both people and assets in real time location applications. Nanotron has developed different kinds of tags to meet customer needs: nanoTAG, nanoTAG LP and nanoTAG RX, see pictures below. Through their air interface, the tags are able to support payload exchange with the location server. The tags have integrated antennas and a power amplifier which is adjustable from 0 to 18 dBm. Nanotron has developed different kinds of tags to meet customer needs: nanoTAG, nanoTAG LP and nanoTAG RX, see pictures below. Through their air interface, the tags are able to support payload exchange with the location server. The tags have integrated antennas and a power amplifier which is adjustable from 0 to 18 dBm. The tags are configurable through their wireless interface. The tag firmware supports TOA and TDOA RTLS systems as well as point-to-point and point-to-multipoint safety applications. 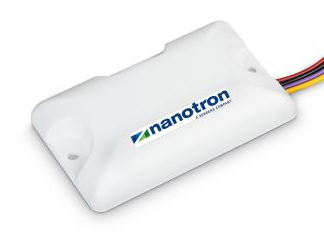 nanoTAG with a rechargeable battery has been designed as a basic tracking and locating tag for Real Time Locating applications. The tag features an application controlled push button and a status LED as well as a bi-color battery status indicator. The tag has a light-weight housing with a loop ring which enables it to be attached to a wrist strap or lanyard. nanoTAG LP with a powerful battery (see picture below) and a much more ruggedized housing than nanoTAG has been designed for use in very harsh environments. LP stands for “low power” since the tag features an ultra-low power sleep mode to extend battery life. This tag can be worn as a personal batch-type tag or attached to assets or mobile equipment directly. nanoTAG RX has the same ruggedized housing as nanoTAG LP and can be mounted to vehicle, assets or mobile equipment directly. Real-time MEMS sensor data is transmitted to the location server simultaneously with tag blinks. The on-board opto-coupler is used to switch or control assets remotely with a digital on/off signal. 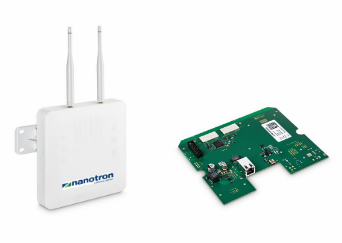 This allows for direct control from a user application via the location server nanoLES.